The Republican presidential hopeful is hell-bent on repealing Obama’s Affordable Care Act. Making it a “day one” initiative, should he win, could undermine action on pressing economic issues, like unemployment. Such a move also would set a bad tone for dealing with Democrats. 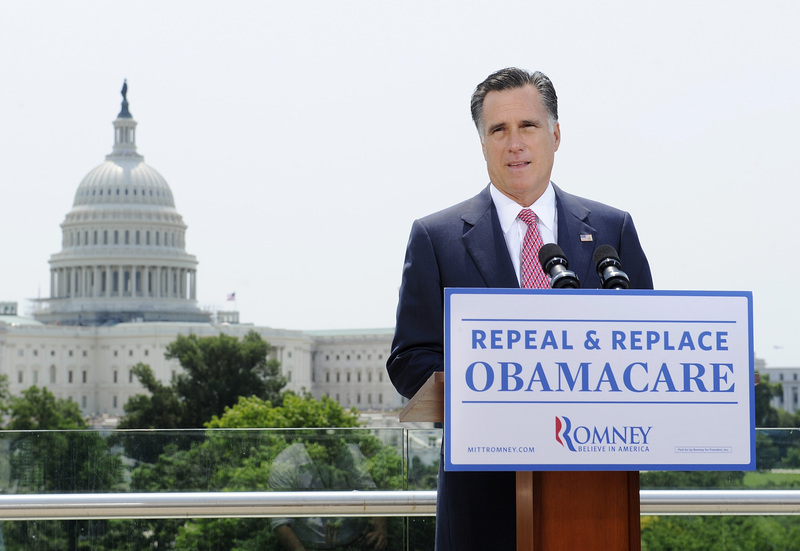 U.S. Republican presidential hopeful Mitt Romney vowed on June 28 to start trying to repeal President Barack Obama’s healthcare law “on day one” if he wins the election. Romney said in a July 4 interview with CBS News that he was “vehemently” against a U.S. Supreme Court ruling that upheld the law, known as the Affordable Care Act. Since the court decided that a portion of the law was a tax, Romney chastised the president for breaking his promise not to raise taxes on middle-income Americans. “Not only did he raise the $500 billion that was already in the bill, it’s now clear that his mandate, as described by the Supreme Court, is a tax,” Romney said in the interview.